Watch out, world. The sequel to TROUT, TROUT, TROUT: A FISH CHANT is coming. 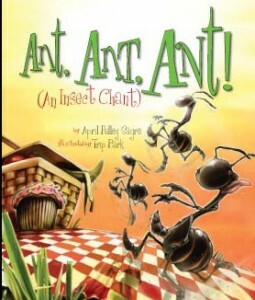 Look for Trip Park’s wild and wonderful art in our new book, Ant, Ant, Ant: the Insect Chant (Fall, 2005). This year I’ve finally faced it: I may have a new career as insect lady. and ANT, ANT, ANT: AN INSECT CHANT. 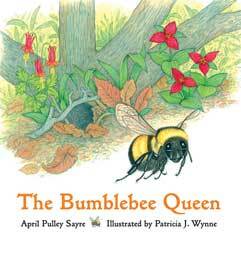 These two books join my other insect-related titles: Army Ant Parade, If You Should Hear a Honey Guide, and Home At Last. Really, I keep trying to write about cute, fuzzy mammals but somehow I end up writing about insects or things like dust. 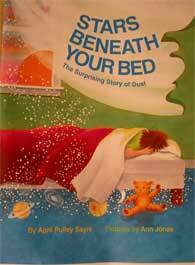 Also released this year was STARS BENEATH YOUR BED: THE SURPRISING STORY OF DUST. I love the meaning of this book–the way the dust from us and dirt and dinosaurs creates the sunset and sunrise colors. This book is deep and about connections. Wow, what a time it has been since I last updated my website. I have visited some terrific schools in Richmond, VA; Marion, IN; Greenville, SC; Turkey Run, IN; New Carlisle, IN; LaPorte, IN and so many other towns. In January I visited my old middle school, League Academy, in SC. 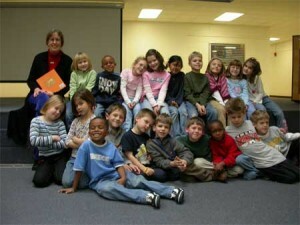 There I met with some fine young authors as well as with some former teachers of mine. I also spent time in Mississippi interviewing relatives about life in the early 1900s. Jeff and I had a wild adventure driving all the way from Indiana to Death Valley, CA, and back. We went to see and photograph the spring wildflower bloom. On the way we saw petroglyphs, the Painted Desert, and the Grand Canyon. Perhaps I will see you at ALA in Chicago or at NCTE in Pittsburgh, where I am speaking during the author strand. Or come learn about writing at the Wisconsin SCBWI conference where I will be speaking this October. This summer I will also be giving a workshop for teachers about integrating literature with science. Please drop by any of these events and say hello! I love to reconnect with folks, especially from schools I have visited. Let me know how YOU are doing. Drop me an email with your news. Oh, and about the Ivory-Billed Woodpecker being rediscovered…we are overjoyed!